Kensington, The Professionals' Choice for device security for nearly 25 years, has produced the latest standard in device security – the MicroSaver 2.0 Keyed Ultra Laptop Lock. Engineered to be Kensington's smallest lock for laptops and other devices with no compromises, the MicroSaver 2.0 represents the next generation of laptop security with a cable that's 60% stronger than the standard model. The MicroSaver 2.0 was developed using strict specifications, patented technologies, and rigorous testing against tough environmental conditions, and can stand the test of time in a smaller, compact size. Notebook computer theft is on the rise, and it's not just your machine, but your private data that's at risk. 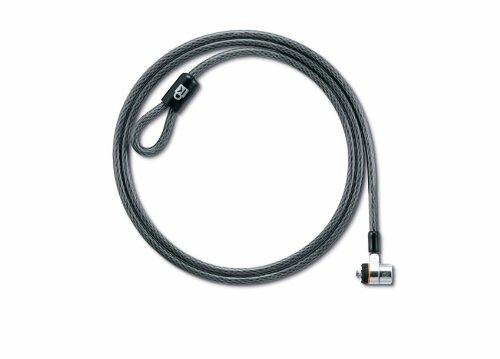 We took the worlds best selling lock for notebooks and computer devices and added an ultra-thick 8mm carbon-strengthened steel cable for even greater security and peace of mind. Dont trust your notebook and sensitive data to anything less than the Kensington MicroSaver Keyed Ultra Notebook Lock. SAFE Pro tested for security and peace of mind. Online key code registration to replace lost keys. 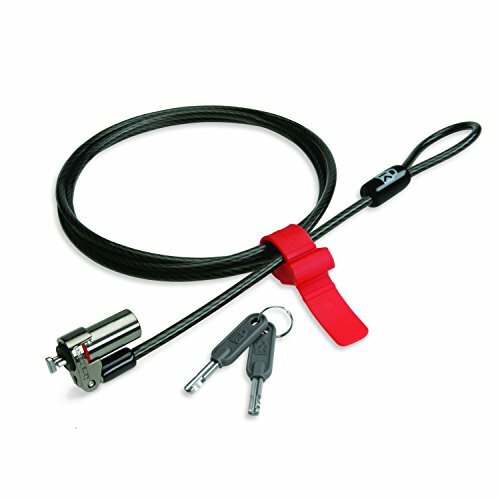 The Kensington ClickSafe Keyed Ultra Laptop Lock offers the ultimate in physical security with just one click. 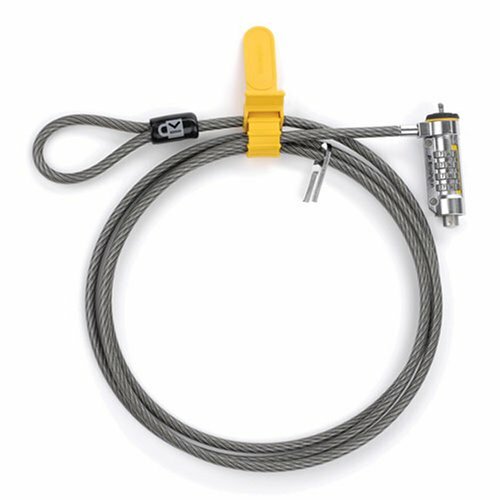 ClickSafe combines an ultra-thick cable made from superior materials with a tamper-proof disc-style lock to deliver the strongest security available in a cable lock. 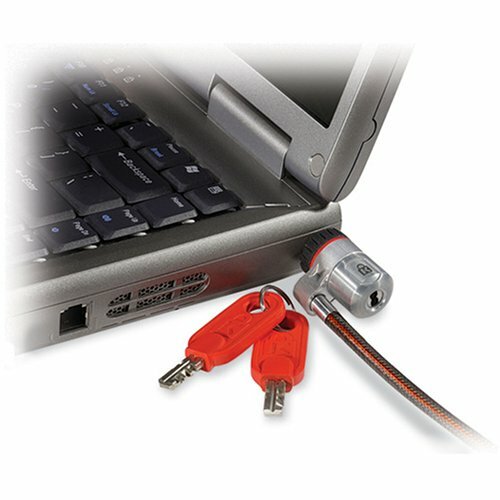 Simply loop the convenient 6-Feet cable around a desk leg or any fixed surface and your computer equipment is protected from theft. Designed to fit the Kensington Nano Security Slot in select HP models, the Nano Saver Keyed Laptop Lock secures ultra-thin laptops, tablets, and 2-in-1s with the same quality and strength that has made Kensington The Professionals' Choice for more than 25 years. Developed using strict specifications, patented technologies, and rigorous testing against tough environmental conditions, the Nano Saver Keyed Laptop Lock provides next generation security for ultra-thin devices. Ultrabook and MacBook laptops are valuable business tools, and desirable for thieves, but they are frequently too thin for a standard cable lock, or lack a Kensington Security Slot. 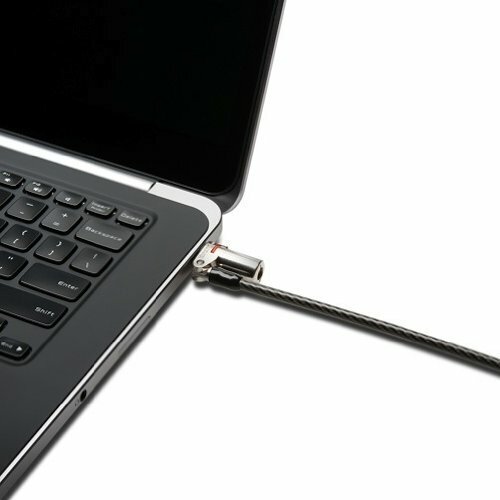 The Kensington Ultrabook Laptop Keyed Lock has an ultra-low profile, rotating head, and even a K-slot adapter for laptops without a security slot. 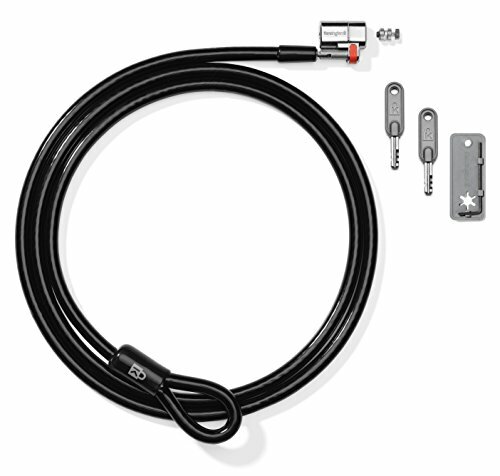 The lock kit includes an attractive K-slot adapter that securely attaches to your Ultrabook. Simply attach it with the included ultra-strong adhesive, loop the cable around a fixed structure, lock and your Ultrabook is now secure. Kensington 64343 MicroSaver DS Notebook Computer Lock with Keys saves you the thought of losing your notebook. 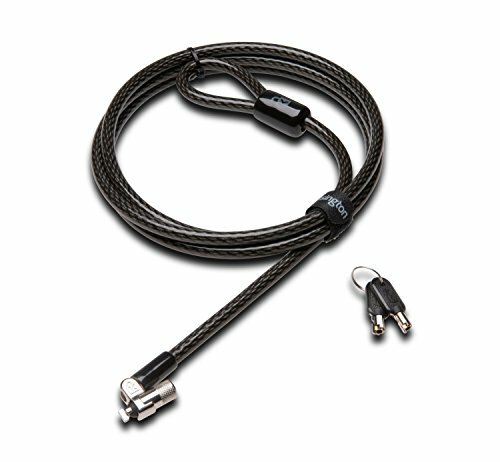 So keep it safe and secure with this advanced disc-locking system featuring a carbon tempered steel cable, stainless-steel braided sheath, and patented T-bar locking mechanism that attaches to the standard Kensington security slot found in 99% of notebooks and computer devices made today. Sleek styling and design won´t block notebook ports or lift a notebook off the desk. From Kensington, the world leader in notebook security. Kensington Lifetime Warranty. If your computer is stolen, it's not just the computer that you may be missing. Theft or loss of a computer or data storage medium, make up 54% of all identity theft-related data breaches. Get the strongest theft deterrent with the ultimate combination notebook lock from Kensington, the leader in notebook security. Perfect for use in the office or on the road. 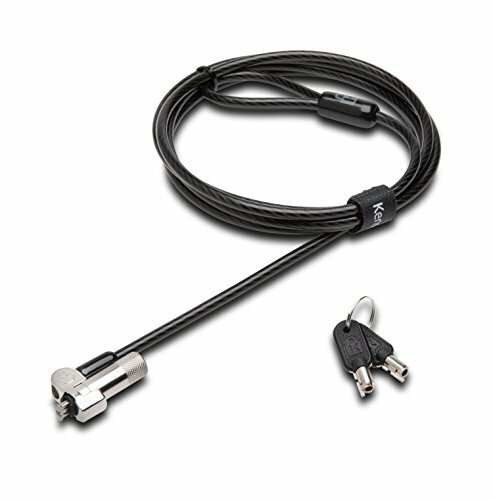 An easy-to-use combination design, carbon tempered steel cable, and patented T-bar locking mechanism make this lock your first line of defense against notebook theft. Online registration makes it easy to retrieve lost combinations. 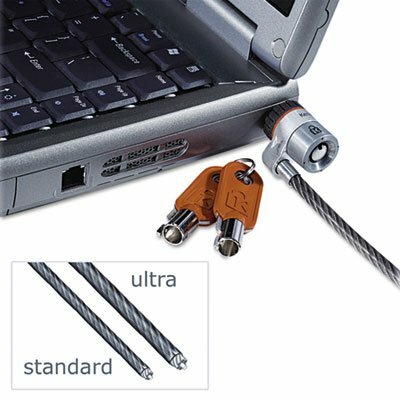 Looking for more Keyed Ultra Notebook Lock similar ideas? Try to explore these searches: Chrome Lid Rack Organizer, 8' Linking Rings, and Professional Car Wax. Look at latest related video about Keyed Ultra Notebook Lock. Shopwizion.com is the smartest way for online shopping: compare prices of leading online shops for best deals around the web. Don't miss TOP Keyed Ultra Notebook Lock deals, updated daily.